The exceptional performance of Snowsfields and Tower Bridge Primary Schools has been honoured by the Mayor of London, Sadiq Khan. The schools were invited to the Schools for Success awards ceremony at City Hall on Friday 5th October, to celebrate their achievements in supporting pupils needing extra help to fulfil their potential. More than 100 eligible schools are invited to join the programme and every local authority in the capital now has a school it can look to as an example. This group, refreshed annually, represents approximately six per cent of the capital’s schools. The ceremony was hosted by Deputy Mayor for Education and Childcare Joanne McCartney. 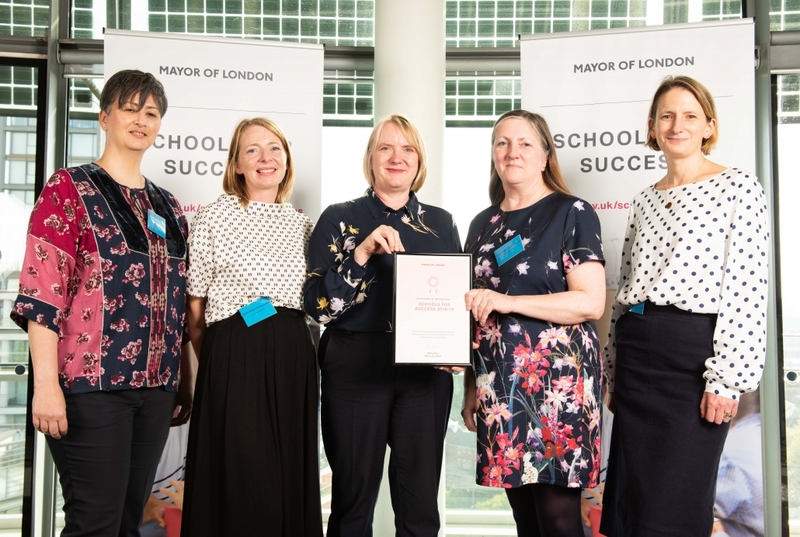 Snowsfields and Tower Bridge have been recognised by the Schools for Success programme, because DFE data from 2017 shows our schools made fantastic progress with students that started behind their peers. Well done to all the staff, pupils and parents for helping the schools make so much progress and be so successful.